The Research Institute of Capital Formation (RICF) was established on July 1, 1964, as a department of the Japan Development Bank, with Dr. Osamu Shimomura as its first executive director. Through research in collaboration with professors, particularly economists, RICF conducts research centering on fixed investment, which plays an important role in Japan's economic growth. The institute also conducts research on such broad-ranging economic topics as financial economics, public finance, corporate management, and regional and social development. RICF's major research focal points have varied according to the changing issues that Japan's economy has faced over the decades, including high economic growth, two oil crises, and the bursting of the bubble economy and the long period of economic slump that ensued. Upon entering the 1990s, the institute began the analysis of social common capital (natural capital, social infrastructure and institutional capital) in addition to the analysis of corporate capital investment. Social common capital as advocated by RICF advisor the late Professor Hirofumi Uzawa is a concept of capital extended from corporate (private) capital, and it has become an important pillar of the institute's research activities. 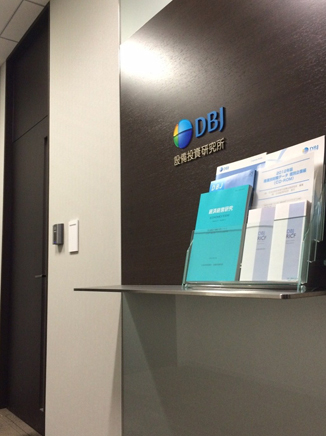 Currently operating as a research department of DBJ, the institute concentrates on one of Japan's most significant challenges― the formation of a sustainable economy and society― conducting its research activities in a neutral position and in collaboration with university professors. RICF disseminates information by publicizing research papers, publishing books and holding symposiums in line with its aim of contributing to the development of Japanese society through its research results. Holding of International Symposium "Symposium on the Environment and Sustainable Development: Roles of Japan with Regard to Global Environmental Issues"
Holding of the 1st CARF-RICF Symposium "The Future of Corporate Finance in Japan"
Holding of the 2nd CARF-RICF Symposium "Challenges and Prospects for the Financial System and Public Policy"
Holding of the 3rd CARF-RICF Symposium "Whither the Post-crisis Financial System?" Holding of RICF International Conference 2011 "Frontiers in Corporate Finance and Corporate Governance"
Holding of the 4th CARF-RICF Symposium "New Directions for International Financial System and Japanese Firm Dynamics"
Holding of the 5th CARF-RICF Symposium "Provision of Risk Capital for Sustained Economic Growth in Japan"
Holding of the 1st Hitotsubashi University-RICF Symposium "Japan in ‘Asian Century’: For Revitalization of the Economy and Business Opportunities"
Holding of the 2nd Hitotsubashi University-RICF Symposium "Changes in World Trends and the Asian Economy"
RICF, in collaboration with university professors, addresses the need to realize a sustainable economy and society, one of the most important topics in modem economic research, through empirical study focusing on the following aspects. COPYRIGHT 2008-2019, DEVELOPMENT BANK OF JAPAN Inc.